The MXH horizontal, multi-stage centrifugal pump ranges from Calpeda are in the next stage of development. ITT Corporation has launched www.ITTMining.com, a new on-line resource for mining industry professionals. Amarinth, the centrifugal pump manufacturer has secured US$4 million in API 610 pump orders from Petrofac for delivery by June 2010. Alfa Laval Group has bought a 65% stake in China’s Si Fang Stainless Steel Products Co Ltd.
Verder has developed a new series of Verderair diaphragm pumps: the VA25 diaphragm pump range. The 520RE peristaltic pump from Watson-Marlow Bredel is suitable for chemical injection applications. Toyo has added two new pumps to its GR range, which are suitable for slurries with specific gravity of 1.15 kg/dm³. Caprari has achieved the ‘CSR 2010 Award’ of the Modena’s Province for its ‘Sustainability Report’. ITT Water & Wastewater has opened a new pump rental and service centre in Thirsk, North Yorkshire, UK. GF Piping Systems has developed a diaphragm valve which is says can deliver energy savings of up to 50%. Ruhrpumpen is supplying pumps to the ANDASOL III solar thermal power plant in Spain. ITT Corp has announced the start-up of the largest dissolved air flotation (DAF) water clarification system in North America. Bio-Chem Fluidics has redesigned its line of solenoid operated pinch valves for medical and IVD applications. Colfax Corp has promoted Arne Forslund to the newly-created position of senior vice president - Europe, Middle East, Africa and Asia. Vortab Company has developed a Model VIP, a flow conditioner which has minimal pressure drop and is available in a lightweight thin panel. DXP Enterprises Inc has completed of the acquisition of substantially all the assets of Quadna Inc in a US$28 million deal. The UK's Vent-Axia is launching a heat pump division to complement its Lo-Carbon ventilation range. 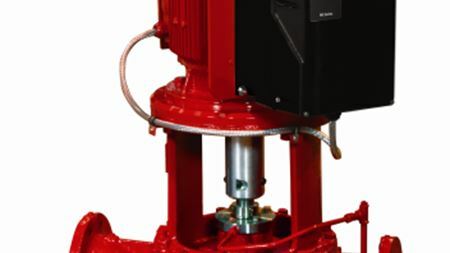 Oil-Rite Corporation has designed a spray nozzle for its PurgeX positive displacement pump. Metering pump specialist ProMinent has expanded its production plant in South Korea. Portable pump specialist Thompson Pump & Manufacturing Co Inc is celebrating its 40th year as a manufacturer and provider of pumps and pumping equipment. Norway’s Aero Titanium AS has supplied a large quantity of titanium pump castings to Ensival-Moret Belgium SA.